A large number of varieties in the mandated crops including cereals, coarse grains, pulses, oilseeds, fodder and fibre crops, have been released/identifed which have been liked by the farmers in the areas of their adaptation. These varieties have been tested at different locations in the areas of their adaptation and the average and potential yields are given on the basis of the trials conducted in the areas of their adaptation under the favorable conditions with full package of improved technology. Hence, the projected yields can be achieved only under optimum cultivation practices like proper time of sowing, irrigation at critical stages, fertilizer application, inter culture operations, plant protection measure etc. New wheat varieties developed by IARI, with higher yield potential and better resistance to rusts, are increasingly becoming popular with farmers in the northern, eastern and central plains of the country. The country was losing up to 10% of wheat yield due to rust disease. The strategic research done at the Institute in identifying different wheat varieties resistant to races of pathogens has saved wheat losses to the extent of 6.8 m.t., worth Rs. 2,500 crores annually. The percentage share of IARI varieties in total breeder seed production in the country varies from 20.4-32.9% in wheat. 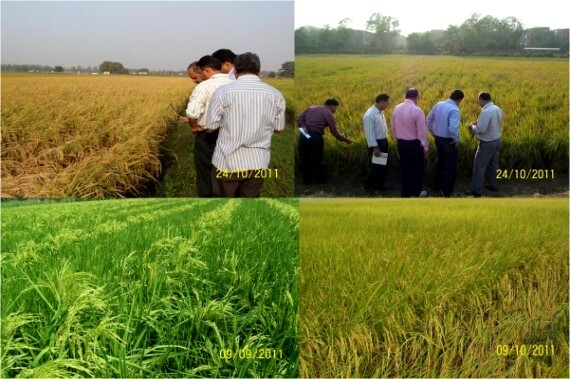 Aromatic fine quality high-yielding rice variety, 'Puss Basmati 1' developed by the Institute yields an advantage of 2 t/ha at farm level and gives a net income of about Rs. 20,000 per ha. 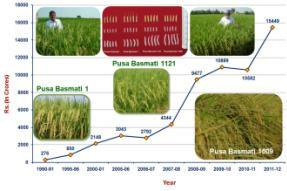 Due to the consumer acceptance, Basmati rice export has increased coincidently over the years. At present, 'Puse Basmai-1' constitutes nearly 60% in terms of volume and almost 50% (Rs. 1000 crores) of the foreign exchange earning through the export of Basmati rice. The recently released varieties like 'Pusa Sugandh-2' and 'Puss Sugandh-3' and 'Pusa Sugandh-5', with improved productivity from 2.5 tlha to 5-6 t/ha have spread over more than 10,000 ha. 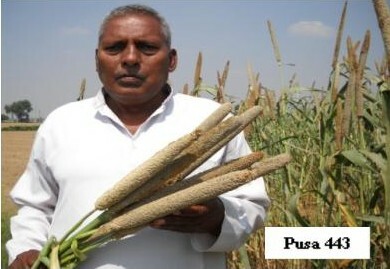 Pearl millet is an important crop of arid zone where rainfall is limited. From1980-2010, a total of 14 hybrids and composite varieties (8 hybrids and 6 composite varieties) were developed and released by IARI which are CVRC releases. The IARI bred hybrids and varieties showed superiority in term of enhanced grain yield, downy mildew resistance, wider adaptability and tolerance to moisture stress in many of the pearl millet growing areas. IARI varieties contribute to 33.7 % of the total breeder seed production of parental lines of hybrids and composites in the country. However, much more area is covered by IARI hybrids and varieties as the farmer to farmer and farmer saved seed is not considered in this estimate. IARI has been the pioneering institute in developing early maturing maize hybrids. Due to early maturity, it saves (i) irrigation, (ii) requires less labour, and (iii) vacates the field for succeeding crop, thus providing farmers flexibility in crop cultivation. 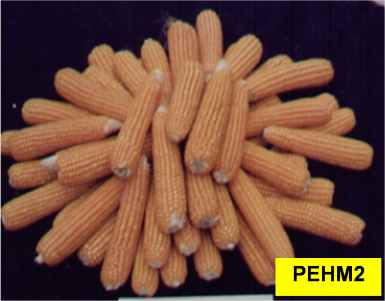 In 1997, PEHM-1 and PEHM-2 were released under the All India Coordinated Maize Improvement Programme, with a yield potential of 45-50 Q/ha. During 2009, Pusa hybrids occupied 83.16% of the breeders’ seed indent for the parental lines of all hybrids. Composite offers the farmers to use the farm-saved seeds for the succeeding year, thus saves expenditure required for the purchase of seeds. IARI released Pusa Composite 3 and Pusa Composite 4 during 2005 and were of the medium and early maturity. These have been released for Punjab, Haryana, Central& Western UP. They yield about 40 Q/ha and possess tolerance to stalk borer, lodging resistance and tolerance to moisture stress. Improved varieties of chickpea, pigeon pea and mungbean developed by IARI have contributed significantly to rainfed crop production. These varieties are of short duration and most suitable for crop rotation, leading to increase in foodgrains production and improvement in the protein status in Indian diet. Chickpea varieties Pusa 1105, 1108 and 2024 are highly adaptable and high yielding Kabuli while Pusa 362, 1103, 372 and BGD 72 are widely adaptable and desi varieties. 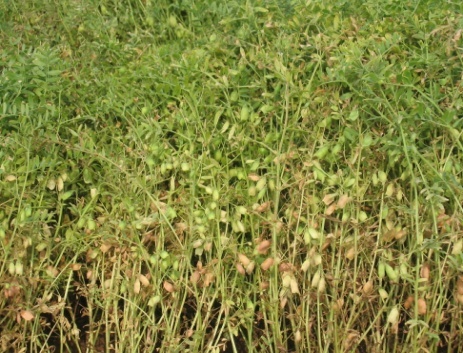 The Institute has of recent identified Pusa 5023 (Kabuli) and Pusa 5028 (Desi) chickpea varieties which are high yielding and bold seeded with 100 seed weight of 40 g. Thus with increased yields these varieties also have better market value as bold seeded varieties have remium price in the market. Brassica breeding programme of IARI has always been in the forefront since very beginning. IARI is the first Institute to develop PusaAgrani, the first short duration variety of Indian mustard which matures in 110 days. After that four more short duration varieties viz. PusaMahak, PusaTarak, Pusa Mustard 25 and Pusa Mustard 27 have also been developed which mature from 100-120 days and fit well in the multiple cropping systems of the country and also a good substitute to toria. A bold seeded variety Pusa Vijay has also been released during 2008 which has 25 q/ha average yield with high temperature tolerance at seedling stage and is getting popularity among the farmers. Erucic acid is the only undesirable fatty acid in mustard oil which has also been eliminated from the mustard improved varieties like PusaKarishma, Pusa Mustard-21, Pusa Mustard 22 and Pusa Mustard 24. IARI is again the first public sector Institution in the country to breed the low erucicacid variety PusaKarishma of Indian mustard. Division of Seed Science and Technology has standardized the technologies which help in increasing the seed production output as well as quality seed. Hybrid seed production technologies have been developed for paddy hybrid and parental lines, sunflower, tomato, brinjal and cauliflower under north Indian conditions. Treatments have been developed for the enhancement of seed quality attributes, such as, germination, vigour, emergence ability, seed health and physical properties. Such treatments include priming, polymer coating, pesticidal treatments, botanical and combinations ofthe above. Reliable and accurate assessment of seed quality attributes is critical for ensuring high quality standards. Seed testing protocols have been standardized for a number of green manuring and medicinal plant species, viz., Sesbania, Crotolaria, Plantago, Withania etc. Methods for more precise assessment of the planting value of the seed through an appropriate vigourtestingmethod and that of its genetic potential, through an accurate estimation of genetic purity (particularly in high value hybrids) have been standardized to improve the seed quality and ensure better productivity. 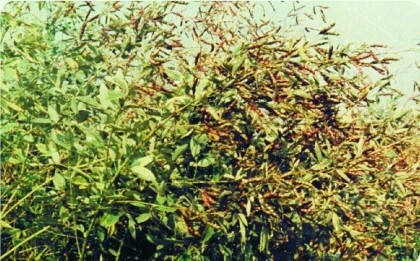 In Lentil, moongbean and pigeonpea, IARI, envisages conducting strategic and applied research to increase productivity, cultivation and production to improve per capita availability; as a result IARI has released 13 varieties of pigeonpea since 1972, which include short duration varieties, fitting ARHAR-Wheat rotation, to long duration varieties fitting to Pre-Rabi (post rainy). L 4076 a bold seeded lentil variety possessing wilt resistance was released from this institute. Later small seeded variety L 4147 was released for cultivation in north west plains. L 4147 is biofortified variety rich in iron content. 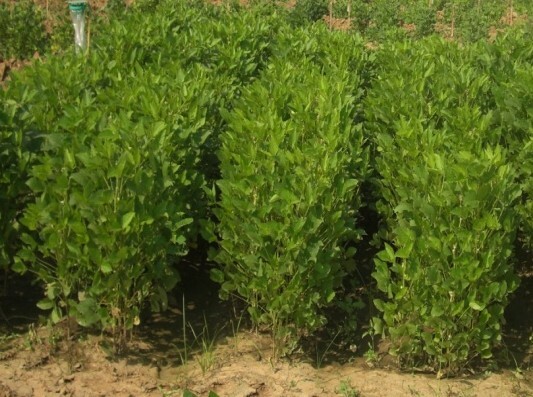 Mungbean varieties like PS 16 and PusaBaisakhi developed from this institute had very wide adaptability and were suitable for cultivation in spring summer season. Pusa Vishal and PusaRatna are early maturing, bold seeded varieties with attractive seed colour. Pusa 9531 is released for spring summer cultivation. 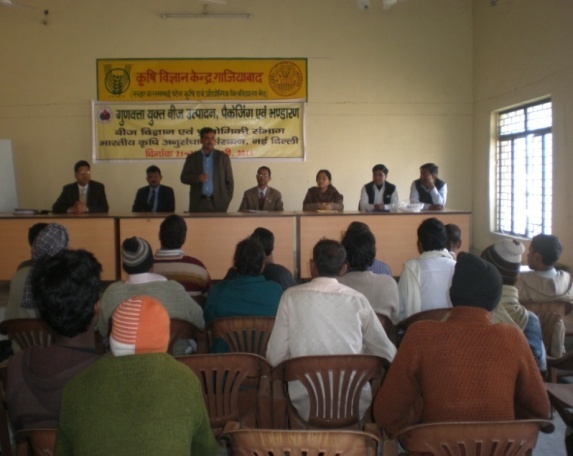 Recently Pusa 0672 was released for cultivation in Northern Hills.